When the plumbing works, you don't notice it, but if there's a problem, it's the only thing that matters. To avoid this, there are several preventative measures that can be taken as well as some best practices for installation and testing. Preventing plumbing problems before they turn into plumbing nightmares saves time, money, and stress in the long run. There are many different valves available to aid in the control of plumbing and heating systems. 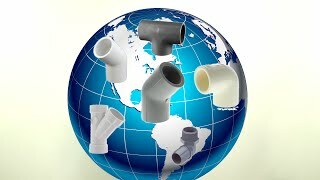 The list below includes some of the most common valves used in plumbing systems and describes when and why they are used. Ball Valves are the most common valve used in plumbing and heating systems. A ball valve is opened by turning a handle that is attached to a ball inside the valve. The ball has a hole or port in the middle of it that allows water to flow through when it is in line. When the valve is closed, the hole turns perpendicular to the ends of the valve and flow is stopped. The term full port refers to the fact that the hole in the ball is the same size as the pipeline and does not restrict flow. Boiler drains are horizontal faucets that have male or female threads that are angled perpendicular to the bottom of the valve. 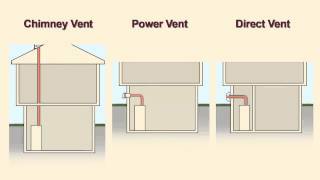 They are called boiler drains because they were designed to drain water from a boiler to remove sediment. Boiler drains may also be used for a laundry tub to hookup to a washing machine. Check valves ensure that water is only able to flow through in one direction and not back in the other direction. They are often used in plumbing and heating systems. These valves come in spring loaded and swing varieties. Frost free sillcocks are used to prevent frozen pipes in a residential plumbing application. They accomplish this by keeping the valve inside the house and away from the cold. Frost free sillcocks are most commonly used for garden hoses. Gas ball valves are used in residential applications to aid in the control of natural gas and liquid propane. They feature a ball and handle that will allow the gas line to be turned off. Gate valves open by lifting a rectangular wedge out of the water line. Gate valves are often used for regulating the flow of water. However, some of these valves are designed to either be fully opened or closed. Sillcocks are faucets that are designed to be installed horizontally on the outside wall. 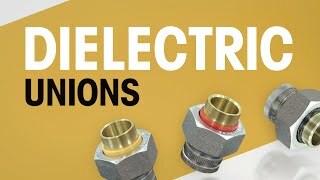 These are commonly used for connecting to a hose in residential applications. Every restaurant needs a grease trap to ensure that water flows properly and that pipes do not get clogged. Some home cooks will install a grease trap if there is a level of grease too high for the standard "dump it in a coffee can" method. Grease traps are sized by the amount of liquid that will be flowing through them. The best way to gauge this is through the size of the sink or sinks that you are using the grease trap for. 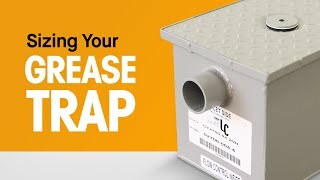 The capacity of how much grease the trap will hold is less important because you can always clean the trap more or less frequently if needed. What is most important is that the grease trap can handle the maximum flow coming through at any time. The flow consists of water, grease, and whatever else comes down the sink. A grease trap works to separate out the water from everything else and allow the water to continue flowing through while keeping the grease trapped under your sink. In order to determine what size grease trap to purchase for your sink, you can use our Grease Trap Calculator. This calculator takes into account the length, width, and height of your sink as well as if there will be a very low level of grease or not. Be conservative when determining whether or not there is a "very low level of grease." It is better to have a bigger grease trap than a grease trap that cannot handle the amount of fluid passing through. The purpose of a backflow preventer is to protect the public water supply. Public water goes to each and every facility (house, office, farm, etc.) in a water company's reach. Once that public water enters a facility, it cannot be returned back to the public supply to go somewhere else. Backflow preventers are needed for irrigation, drinking water, and fire water. There are 4 types of parts you might need to repair a backflow preventer. 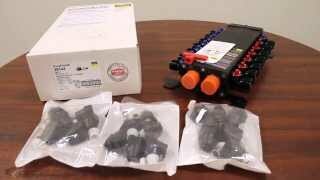 If there is an issue with any of the rubber parts, you can get a complete rubber kit. Also available are a 1st check kit, 2nd check kit, or relief kit to repair the part you need. Check with the local water company to see which kind of backflow preventer you need. It's the water company that determines what they require from you — so they'll usually tell you what you need. The water company also determines who needs a backflow in addition to what type — not every facility needs one. And it's important to note that each water company has their own rules for determining this, so always check before you purchase property. There are three different categories that your facility can fall under when it's being checked to see what backflow is good. Your water company determines this. Hazardous — you are hazardous if your facility is close to a pond, river, or ocean or if there are any chemicals that enter your water supply at any time. You'll typically need an RPZ. Aesthetically objectionable — if you're using a sprinkler system with no chemicals, this is typically low hazard. You will typically need a double check valve for this. Non-hazardous — if it is determined that your facility poses no hazard to the public water supply, it will be deemed non-hazardous and you will most likely not need a backflow preventer. 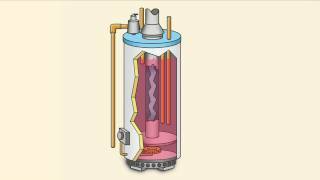 Pressure vacuum breakers are for internal isolation — not external isolation. They do not protect the outside but can be used to internally isolate something in your facility such as a coffee machine, ice maker, etc. An anti-siphon valve is a type of vacuum breaker. You must follow the instructions on the backflow preventer and all backflow preventers must be tested yearly by a certified tester.